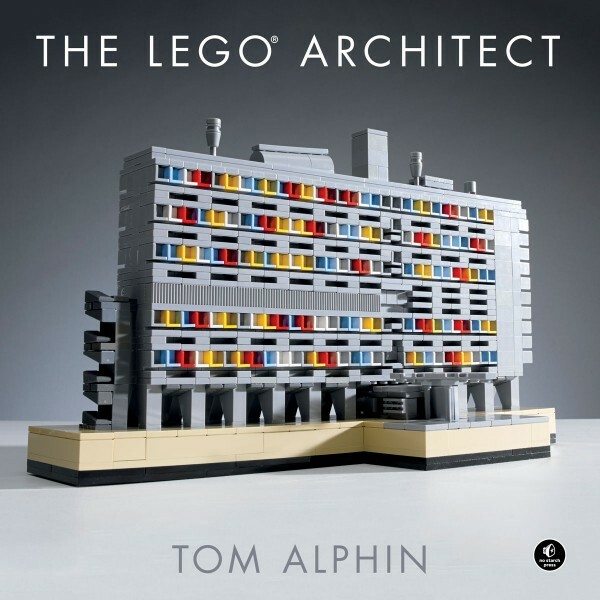 “The LEGO Architect” – a preview of my upcoming book! 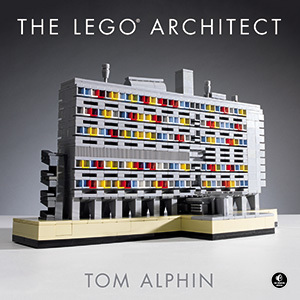 UPDATE 8/25/2015: I’ve launched a new website and blog dedicated to LEGO Architecture and my upcoming book, The LEGO Architect. 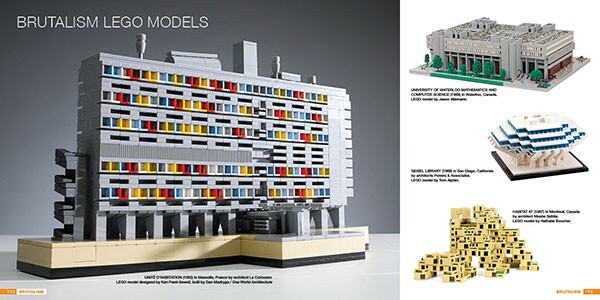 For the latest news, bonus features, and links to reviews of the book, visit http://brickarchitect.com/book/. I’m thrilled to announce that I’m writing a book, The LEGO Architect, which will be published later this year by the great folks at No Starch Press. The book explores popular architectural styles like Neoclassical, Art Deco, Modernism, and Postmodernism through LEGO. For each style, you will see beautiful photos of real buildings, a short explanation of the style, a selection of amazing LEGO buildings created by artists from around the world, and instructions to build small LEGO models based on the unique design elements of each style. The book showcases great models created by the best LEGO builders all over the world. The book is designed to be a “hands on” book that you can spread out while building the models featured in the book, or when building your own LEGO creations. It will have generous 9 x 9 inch pages and a sturdy hardback cover. Many of the models in the book can be built using the parts in the excellent LEGO Architecture Studio set. Detailed instructions to help you create your own LEGO architecture models in a variety of styles. Be sure to check out the book when it is available later this year. I hope it inspires your own architectural explorations, and gives you new vocabulary to describe and appreciate the buildings around you. Maybe you will discover a new favorite building or architectural style? I am excited to share more information about the book in the coming months. I’ve been an architecture enthusiast my whole life, but I’m not an architect. The LEGO architecture series, and in particular the LEGO Architecture Studio set rekindled my interest in both LEGO and architecture. When I realized that I could write a book which expanded on the projects from my LEGO Architecture 30-day challenge, I knew that I had found a unique perspective and had a story to tell. The research and creative journey in writing the book has been fascinating. I am seeing the buildings here in Seattle and while traveling with a new found appreciation of their history and the architectural styles which influenced them. Along the way, I’ve revisited some of my favorite architects like Frank Lloyd Wright and Frank Gehry, and I’ve discovered new favorites as well. The biggest surprise has been learning how much the history of architecture is intertwined with a broader global history: Neoclassical architects revisiting classic Greek and Roman architecture, the exuberance of Art Deco mirroring the decadence of the Roaring 20’s, how Postmodern architecture is a reaction against the sterility of Modernism, and how current trends in High-tech architecture are only possible due to tremendous advancements in computer modeling. 3/14/2015: The book is also listed for preorder from Barnes and Noble and O’reilly. It’s really exciting to see it show up on the various online stores. UPDATE 8/25/2015: Make sure you visit http://brickarchitect.com/book/ for the latest news, bonus features, and more about the book: The LEGO Architect. Very good surprise. I can’t wait to see the book! Looks like a great book. Are all models microscale, or is it a mix of scales like in the Warren Elsmore books? @Koffiemoc, “Microscale” is generously defined as anything built to a smaller scale than a LEGO Minifigure. In a prior article (http://tomalphin.com/2013/11/lego-challenge-19-calculating-minifig-scale.html), I calculated Minifigure scale as somewhere between 29:1 and 47:1. In this context, the vast majority of the models in the book will be microscale, as are all of the official sets in the LEGO Architecture series. That said, the book will feature a couple Fan-made models which are minifig scale. Scale is one of the topics that will be discussed in the book, and I hope you enjoy the book when it is available in stores! This looks very interesting, but can you please say something about format of the book, how its built up, how many models it involves and how many pages it has. You had me at the cover page. Can’t wait to flip through it. Pre-ordered! sincerely, i’m very curious about this book. 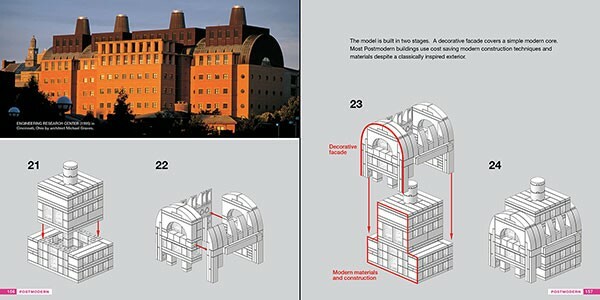 Hope to find interesting architecture models and with the relative building tecnique (maybe also explained). So proud of you, Tom! What an awesome idea for a book! If you’re planning on coming to New York anytime, and you’ d like to do a signing at Barnes & Noble, I know the General Manager and CRM in Yonkers would be VERY interested in having you. (Bonus, you get to see me!) On the Science Barge, we have Lego-Saturdays to encourage children to build their own inventions, and we also have an intern who does Lego robotics. (I love that Lego can appeal to children and adults, alike!) I’ll ask our Director if we can sell your book in our gift-shop. In any case, Congratulations! And best wishes, old friend. Thanks for creating this book. Now we all can enjoy the result of your excellent research. wonderful book. how do you keep your Lego models on display looking pristine? Many thanks, Tom, for your excellent job. I had read than for the cost about of $23 aprox., man can get certain parts to complete optimally the content of 21050 set Studio Architecture,; I have this wonderful set, and also a magic room with my ‘LEGO DROG’. As a personal detail, I’m an old fine arts & piano music teacher, aged 72’… well, can you please tell me that list of parts, than now I’m not able to find? One more time thanks, with my wish to you a magnific new 2016, very very healthy!!! i’ve Follow the release of your book on amazon, and i’ve got it since he is available. really interresting to understand some basic history over century about architecture. i’ve really enjoy it. What really decide me to buy it was the “le corbusier” building on the cover. I’m located in France and i love all his building. I’ve visited the Villa Savoye with the lego model in my hand. make some nice picture with the lego house in the house. I would like to ask you some help on the “unité d’habitation” model in your book. is it possible to have some contact with the person who has desing it ?